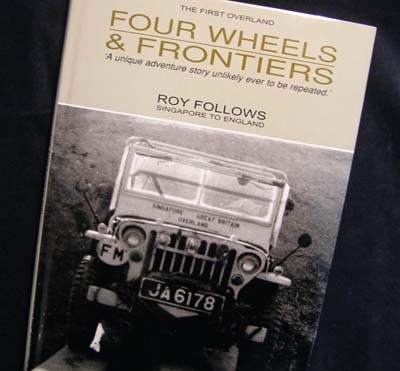 First Overland - Four Wheels & Frontiers. 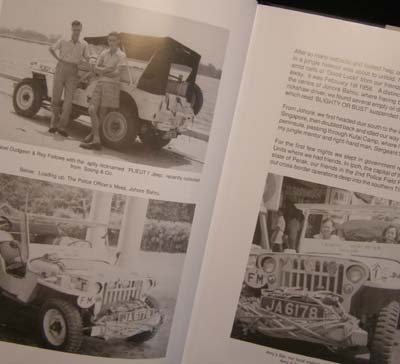 Foreword: "Rt.Hon.Lord Steel of Aikwood President of The Historic Endurance Rally Organisation (HERO Club)"
Book description: A detailed account of a remarkable journey through a different world. In the realm of automotive publishing, where the same old topics (MGB maintenance, anything to do with the Jaguar E-type, the I Spy Book of Cars) tend to be recycled, this is compellingly readable. "What about overland?’’ I quipped, chewing on a wad of salted fish,running the spoon around my mess tin, chasing the last few grains of rice. The minute Noel looked up, I knew he was hooked on the idea of driving home." 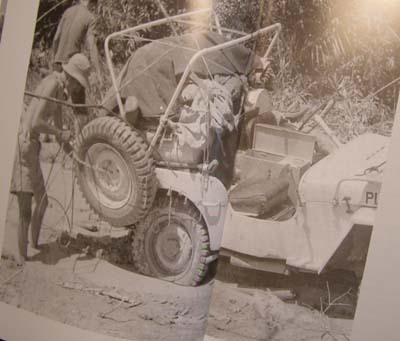 This chance remark made in a jungle den, deep in the heart of Malaya, was the catalyst to a unique overland adventure. 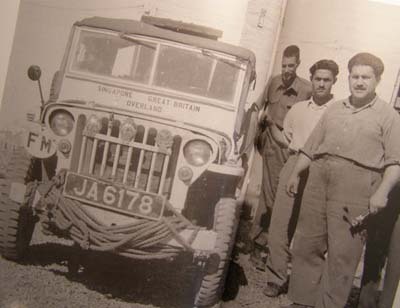 At the time, Roy Follows and his firm friend Noel Dudgeon were Colonial police officers, engaged in a lethal war fighting Chinese Communists in the Malay Emergency. 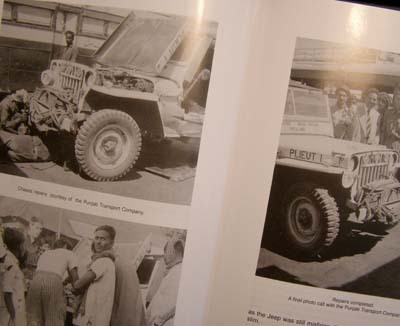 One year later, in February 1958, they’d purchased anex-army Willys Jeep from a scrap yard and were meandering through the Communist infested Thai jungle, heading for England. 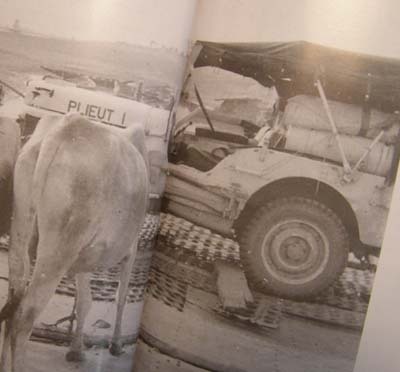 Underterred by the disclaimer, ’Enter Burma at own risk’ endorsed in their passports, the fearless duo take on the challenge of the infamous Ledo Road, while over in Baluchistan, they resolve a life-threatening ambush with the outward calm of nipping to the corner shop for a pint of milk. In the spirit of true adventure, this expedition wasn’t attached to the umbilical cord of a mobile phone or G.P.S. Furthermore, every potential sponsor believed the journey would be impossible, so when the going got tough there was no comfort blanket. 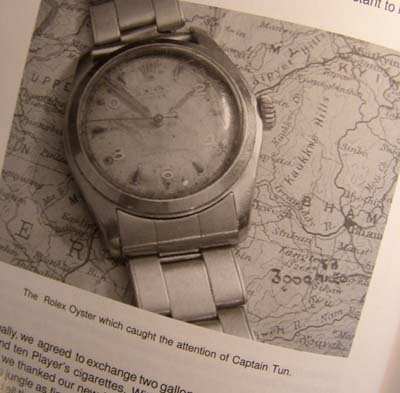 To date, Roy Follows has featured in several radio and television documentaries including Empire Warriors [BBC 2]. His previous book THE JUNGLE BEAT, details how Follows survived in the Malay jungle and is believed to be staple reading for aspiring recruits in the S.A.S. Fluent in Cantonese, Noel Dudgeon, was the distinct other half of this venture. During his service in the Malay police, Dudgeon commanded a unit of surrendered Chinese terrorists known as the Special Operation Volunteer Force, and undertook covert operations against the Communist guerrillas.Dudgeon later served in Vietnam with the Australian Army, and American Special Forces. He completed his career as a Major in the Australian S.A.S. More recently, Dudgeon’s quest for adventure has included white water rafting and planning The Great Camel Race traversing the breadth of Australia. Delux casebound, 210 pages 70 + Photographs / Documents.